Multiple video search options including Thumbnail Search for quick retrieval of footage. 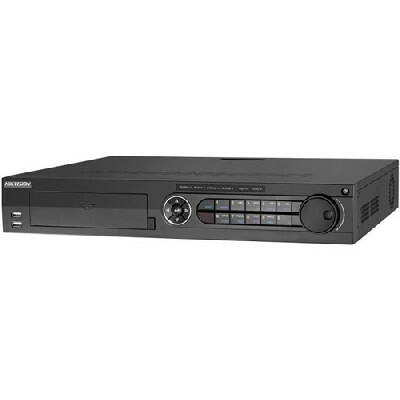 Multiple video search options including Smart Search and Sub-Periods for quick retrieval of footage. 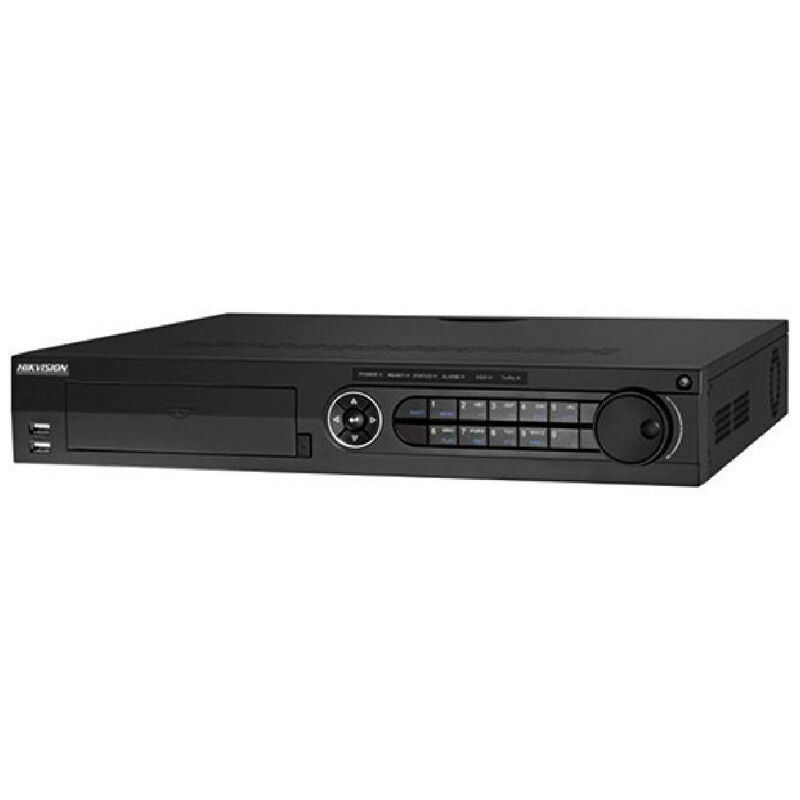 Configure, record, and playback footage from up to 32 cameras with the 32-Channel 1080p DVR fromHikvision. 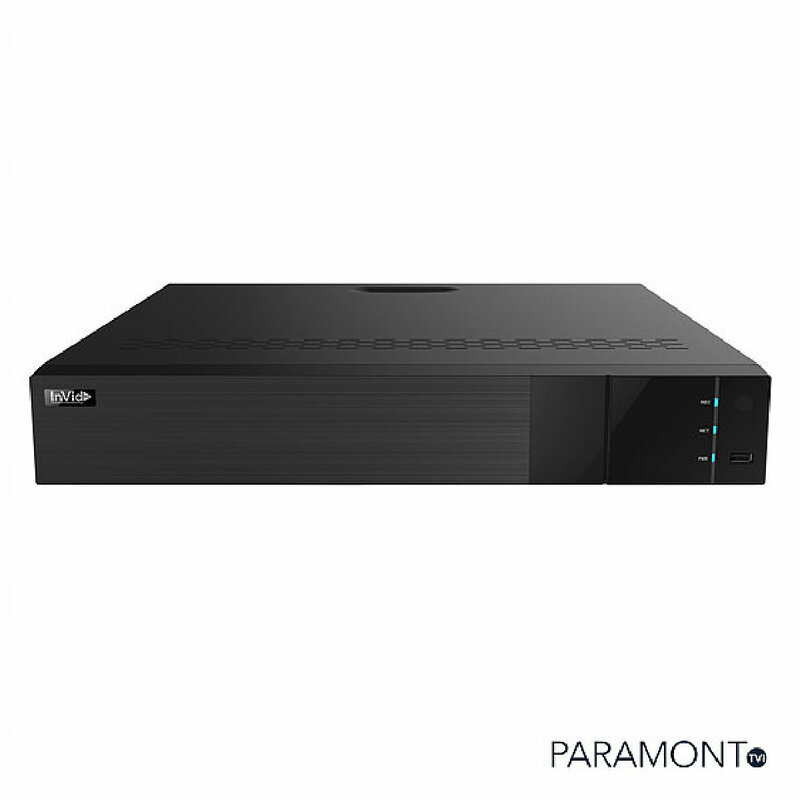 The NVR features an Ethernet interface along with a BNC interface for supporting IP cameras as well as HD over Analog and Coaxitron cameras. 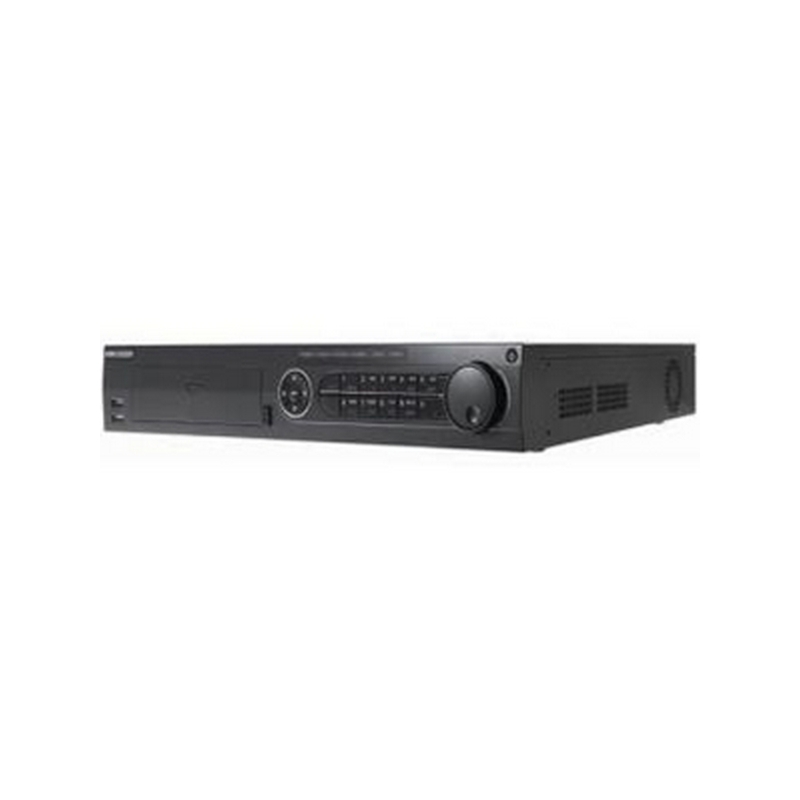 It is compatible with cameras that use 1080p, 720p, or CVBS resolutions, and it offers two RCA inputs and one RCA output for 2-way audio capabilities. 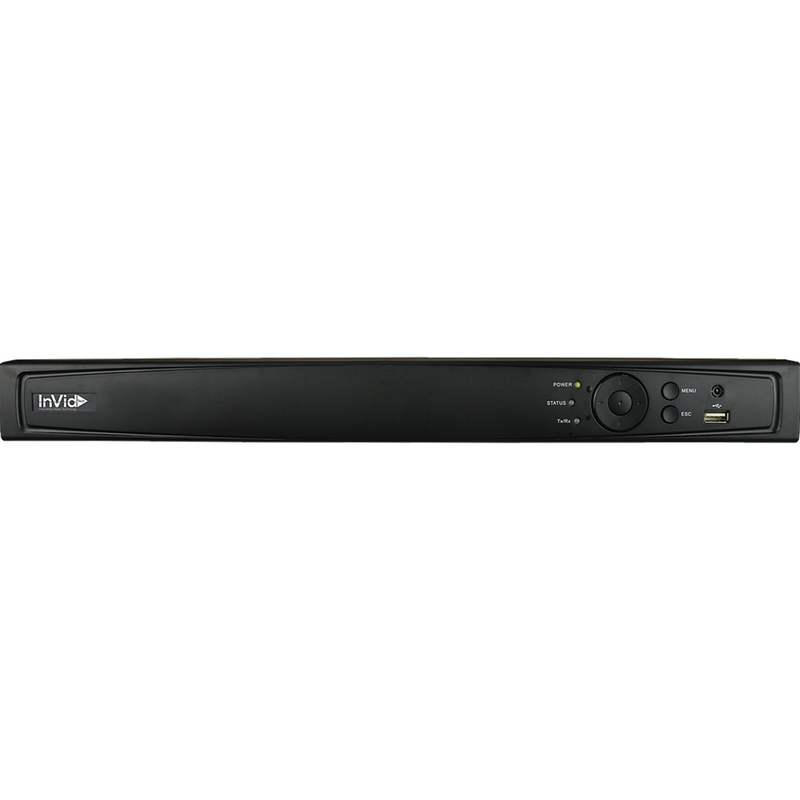 Additionally, there are HDMI and VGA connections for video output in high-definition, with support for dual streaming to maximize bandwidth. H.264 formatted recordings can be stored using the four SATA interface HDDs, each with a 4TB capacity (not included). 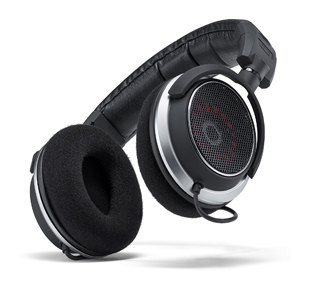 Furthermore, eSATA and USB interfaces provide external storage options and allow you to export recorded data. There are also RS232, RS485, and keyboard interfaces, as well as 16 alarm inputs and four alarm outputs. 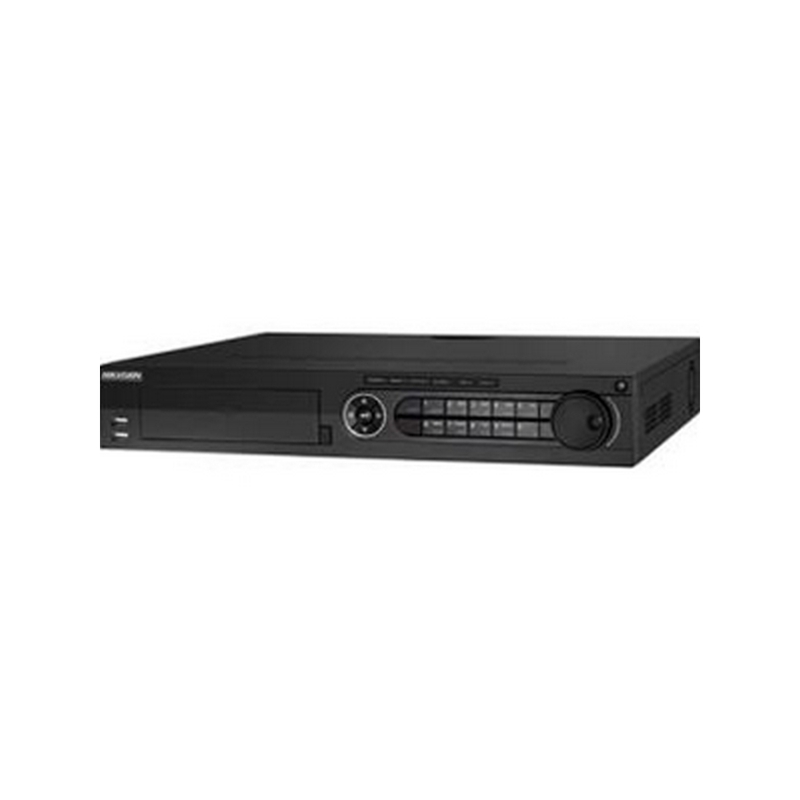 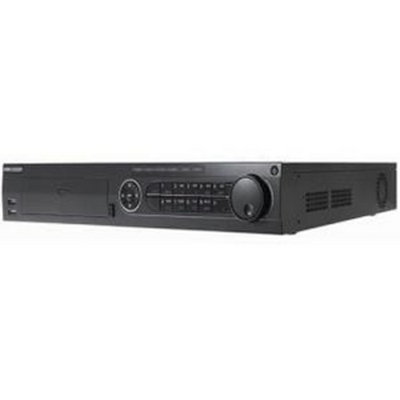 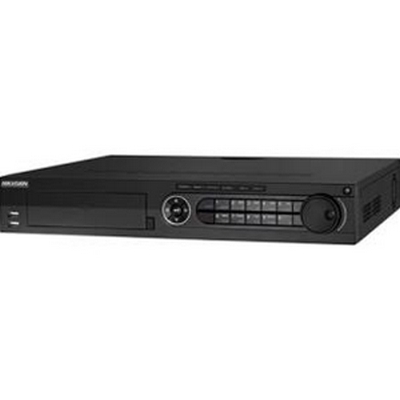 This DVR is 19" rack mounted with a 1.5U chassis for easily storing in a private or secure location. 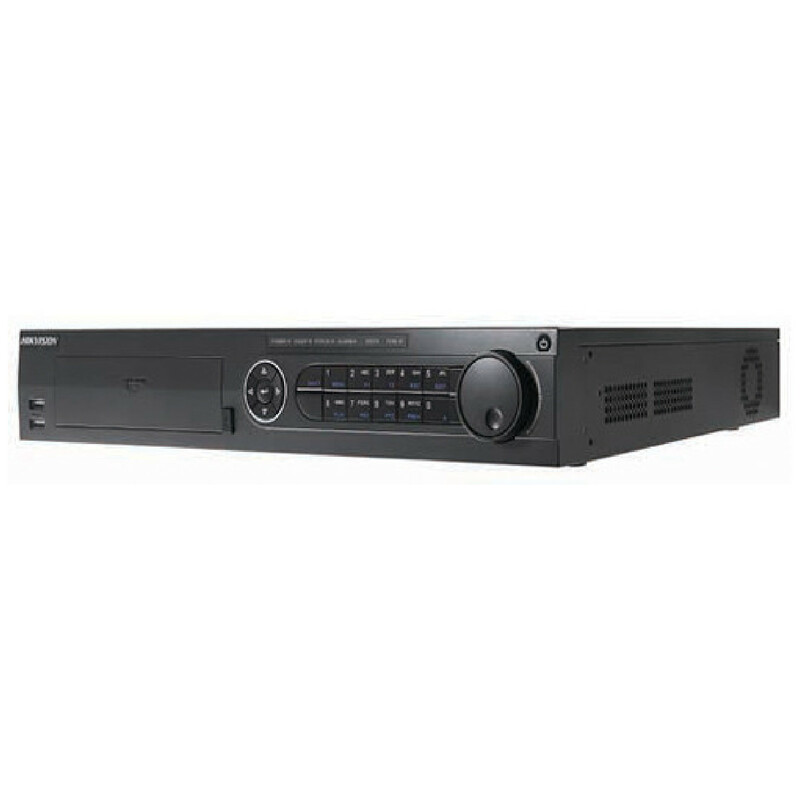 Featuring HD-TVI BNC inputs, which allow sending uncompressed, high-resolution video over coaxial cable, Hikvision's 8-Channel 1080p Triple Hybrid Turbo HD DVR bridges the gap between analog and IP camera signals by allowing users to run IP-quality images over existing coaxial infrastructure. 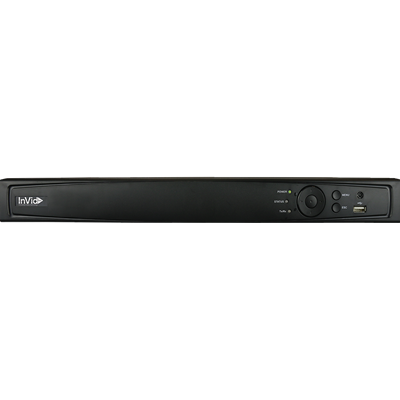 The HD-TVI inputs also support standard analog cameras, so keep your infrastructure and record from standard definition up to 1080p signals in real-time on all 8 channels.